The University of Rhode Island is the state’s flagship public university. It a small, beautiful place and our location inspires students and faculty to learn and discover daily. Our campus makes people happy. You can breathe here. You can think here. You can do your best work here. And whatever you choose to study at URI, you’ll be prepared to make your mark on the world. URI is a major research centre set amid 1,200 acres in Kingston and 200 acres near Narragansett Bay. Located on the east coast between New York City (3 hours by train) and Boston (1 hour by train), URI is home to 13,000 undergraduate and 3,000 graduate students. Our international students represent over 58 countries. 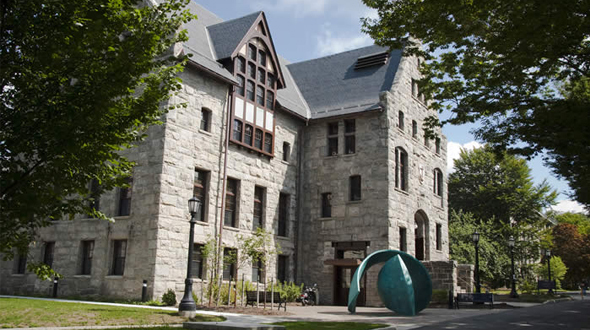 URI offers Bachelor’s, Master’s, Ph.D.’s and professional degrees in our eight academic colleges: Arts and Sciences, Business Administration (AACSB accredited), Engineering (with ABET accredited programs), Environment & Life Sciences, Human Science and Services, Nursing, Pharmacy and the Graduate School of Oceanography.